It seems that fairytales are especially popular these days. I mean look at all the remakes of the old stories into these impressive movies and tv shows. It is not a new concept for the games and for the Surface series in particular. Even if you are a bit tired of all these fairytales popping up left and right, you don't want to miss Surface: Lost Tales Collector's Edition. It realy is an adventure, on which you are not alone - you have you pet, the Cheshire Cat is with you. This new release from Elephant Games will not disappoint you. 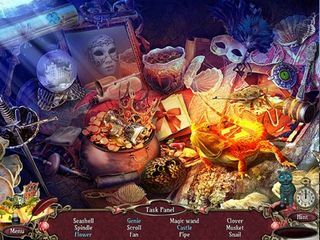 In this game the Book of Fairy Tale, an ancient very important artifact is missing and some of its pages are scattered both in Fairyland and the real world. The same goes to some of the characters from the book - all over the two worlds! You play as a princess, who doesn't know that she is one, because so many of her memories are gone. In addition to it all, she is hunted by the Huntsman from Snow White. Now she really needs to find the book, before he finds her or the book. It realy is an adventure, on which you are not alone - you have you pet, the Cheshire Cat is with you. There is a bonus adventure as one of the CE extras - you get to know the real story of Hansel, Gretel, and their witch. This game keeps the standard of this series up high. If you are a fan of the series, you are going to love this one. The ausio-visuals are done very well, the atmosphere is what you need for the story like this one. You get 6 chapter presented in four modes of difficulty with one being Custom and adjustable hints and skips from 15-90 seconds. The map is given to you when you start, you also get an extensive strategy guide. If you are a collectibles fan, rejoice - you get to find 100 flowers in the game. Plus 12 morphing flowers. 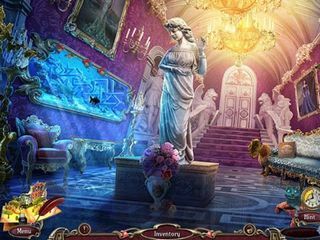 Both the hidden object scenes and the mini-games are very well developed and appropriate to the story. You get all kinds of searsh types in HOPs - lists, silhouettes, locate to replace etc. The mini-games are terrific and interesting and entertaining. You will love them. Both are replayable. You get a lot of media extras, like wallpaper, concept art, soundtracks etc. 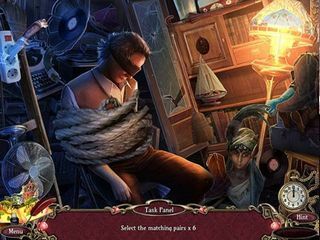 It is and excellent hidden object puzzle adventure game that you can not miss! Check it out for yourself! This is Surface: Lost Tales review. Download this game here.